One of the most powerful air-cooled generators on the market today, the Guardian Series 3-Phase 20 kW Standby Generator can provide backup power for many homes and businesses. Have questions for our team of Generac Specialists? 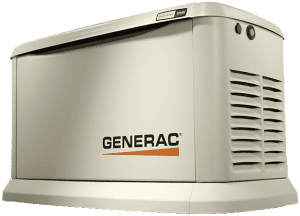 Find the right Generac Automatic Standby Generator to power YOUR home or business! Generac’s G-Force Engine are purpose-built, pressure-lubricated engine capable of handling the rigors of generator use, resulting in power that’s more reliable and requires less routine maintenance than any other competitor.